It is the first Palm Oil plantation REIT in Malaysia (not sure about other country). This counter is boring but growing steadily. 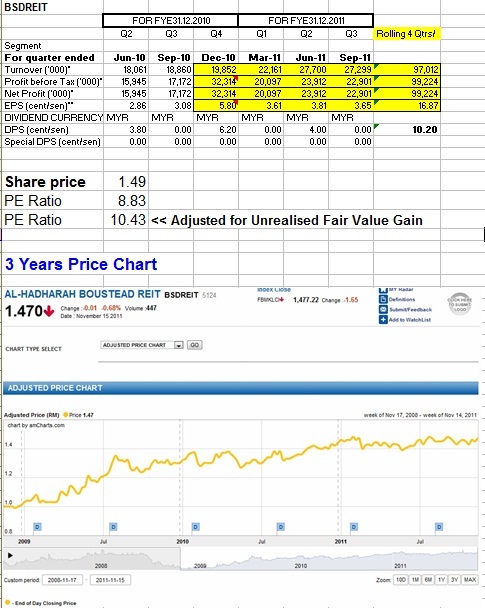 The share price is now slightly higher than the NAV (net asset value) by a few percentages. Keeping this is better than keep your money in Fixed Deposit. 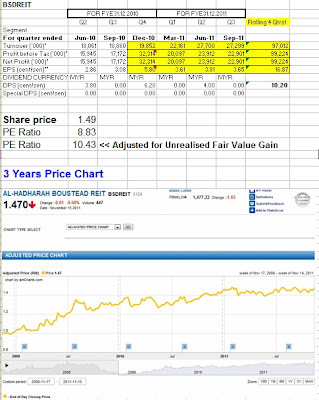 It pays dividend on half-yearly basis and next coming in Feb 2012. Buy now (1.48) for a yield about 4% (assume pay 6.0 sen only) for approx. 3 months holding. The only problem for me.... lack of liquidity. Thank you for the information & useful tips about stocks.